Thanks to Dr. Ayesha Azam, University Hospital Coventry & Warwickshire (UK) for contributing this case and Dr. Belinda Lategan, St. Boniface Hospital, Winnipeg, Manitoba (Canada) for writing the discussion. To contribute a Case of the Week, first make sure that we are currently accepting cases, then follow the guidelines on our main Case of the Week page. 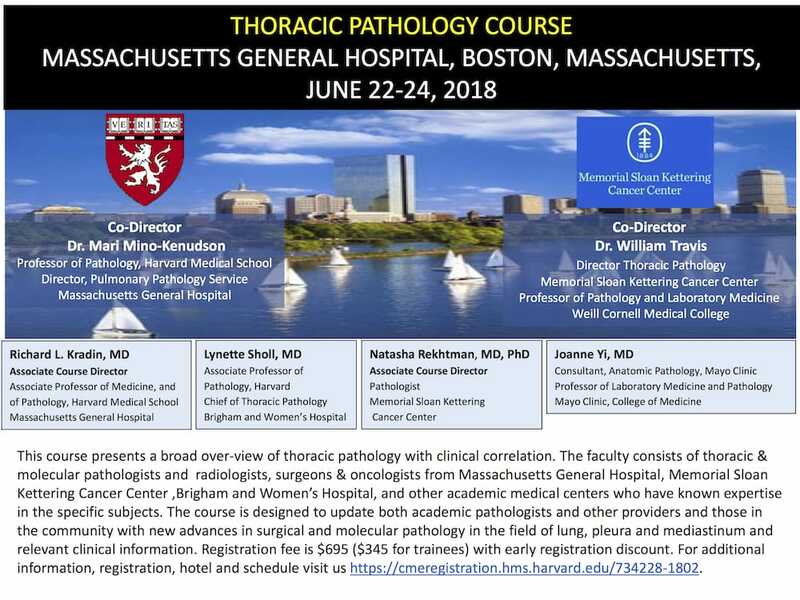 (1) We are looking for pathologists to write Case of the Week discussions from time to time in a format similar to past cases. If interested, please send your CV and several writing samples to NatPernick@gmail.com. (2) In response to your requests, we are adding the capability of going from one image to the next by clicking on the arrow at the left or right middle edge of the image. This is faster than closing and opening images. To "leave" this effect, click on the "X" at the lower right or click anywhere outside the image. Try it out on this Kidney page. (3) We are reorganizing our biomarker chapters over the next few months. CD markers will continue as is. Molecular markers combines Molecular Pathology, the former Chromosomes / Translocation chapter and molecular biomarkers formerly in the Stains chapter. It will take a few months to transfer the molecular biomarkers in the Stains chapter. Let us know if you have any questions. (4) We now have over 350 Board Review type questions posted on our Board Review page. We are thinking of grouping chapters by subspecialty. Are there any other changes we can make so this page is more useful to you? (5) We are happy to welcome Dr. Robert LeBlanc, M.D., to our Editorial Board. Dr. LeBlanc is currently Assistant Professor at Dartmouth in New Hampshire. He will be our Editor for Dermatopathology topics. 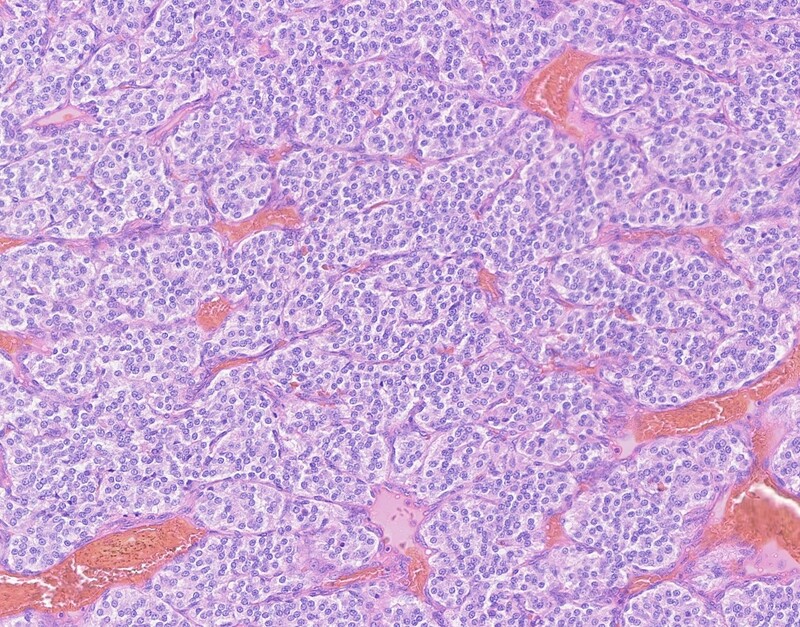 A 76 year old woman presented with a right sided neck mass which was excised. Macroscopically it was a grey solid nodule measuring 20 x 15 x 14mm. The outer surface was smooth and the cut surface was also grey and solid. 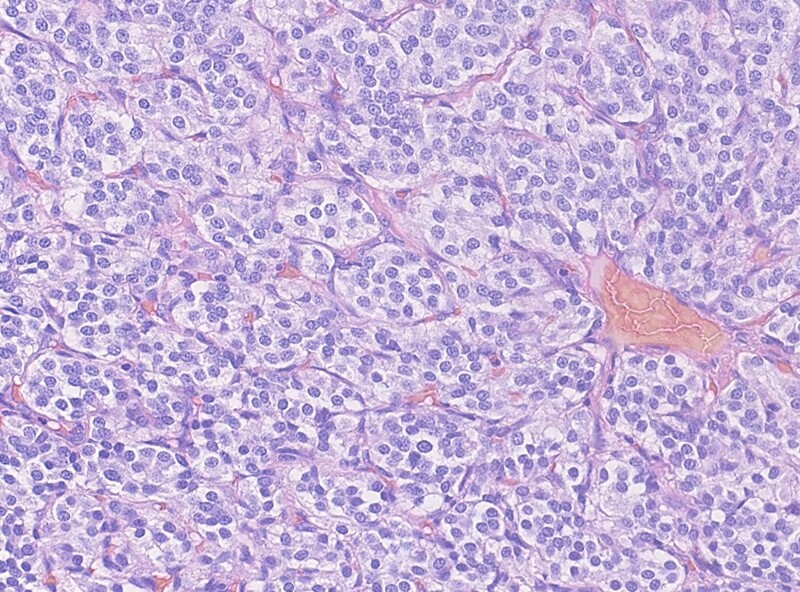 Paragangliomas are rare tumors of the extra-adrenal sympathetic and parasympathetic paraganglia. Carotid body tumors arise from the parasympathetic paraganglia at the carotid artery bifurcation. The head and neck is the most common extra-adrenal location for paragangliomas. Tumors of the parasympathetic paraganglia, which include the carotid bodies, are less frequently secretory and uncommonly associated with chatecholaminergic clinical symptoms compared to paragangliomas arising from the sympathetic system. Carotid body paragangliomas are slow growing, well circumscribed tumors with a reddish-brown, firm cut surface. Hemorrhage and cystic degeneration may be seen. On microscopy, nests of oncocytic cells ("zellballen"), often with prominent intranuclear cytoplasmic pseudoinclusions, are surrounded by a fibrovascular network including small spindled sustentacular cells. As demonstrated by this case, an organoid growth pattern is most common in head and neck paragangliomas, but trabecular and solid growth, spindled areas, pigmentation, stromal sclerosis and even amyloid deposition have been described (Head Neck Pathol 2015;9:300). 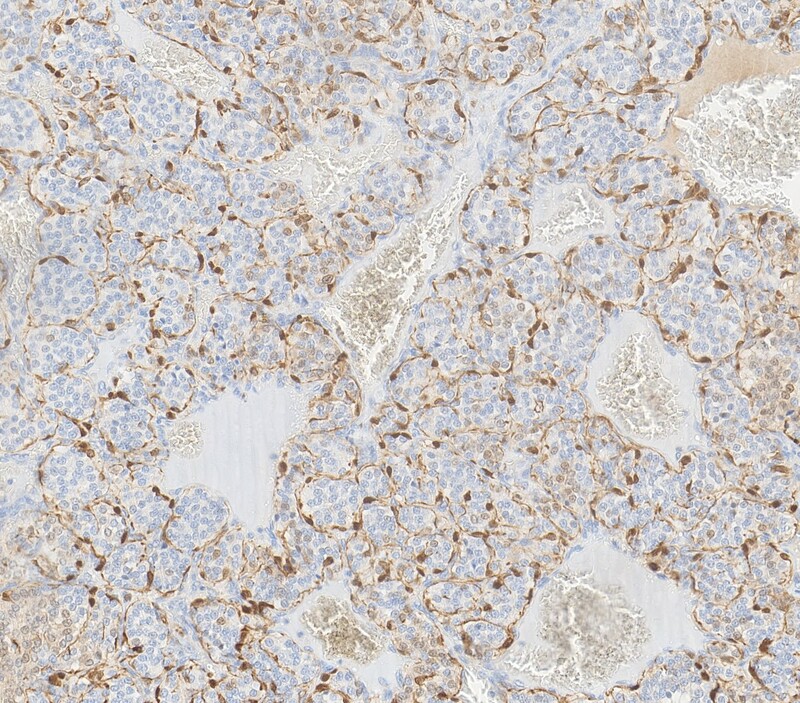 The sustentacular cells stain with S100 and the tumor cells with neuroendocrine markers (synaptophysin, chromogranin, CD56). 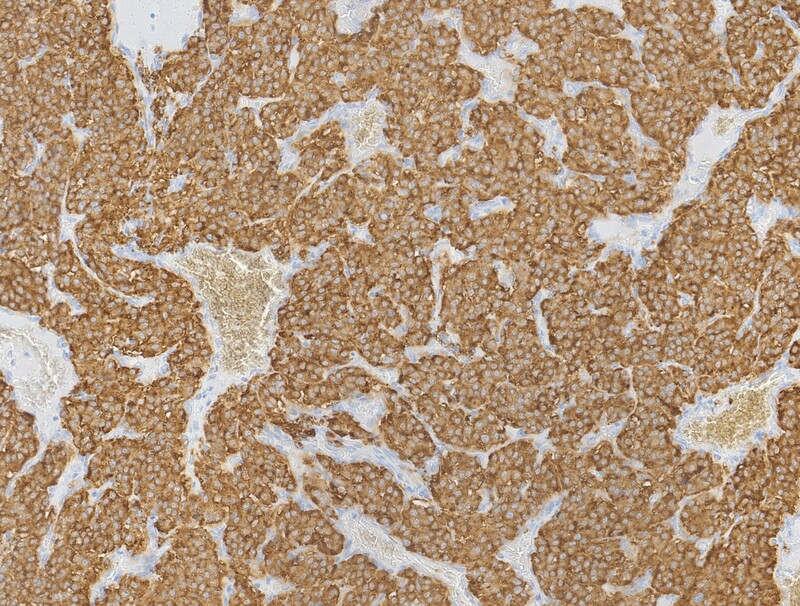 A reticulin stain will highlight the fibrovascular network. Management is surgical resection (Arch Pathol Lab Med 2014;138:182). Up to 30% of paragangliomas in general are associated with genetic tumor syndromes and specific gene mutations, including RET (MEN2 A & B), VHL (Von Hippel-Lindau tumor suppressor gene) and NF1 (Neurofibromatosis type 1). Genes encoding for succinate dehydrogenase (SDH) mitochondrial complex are associated with head and neck paragangliomas, most often benign. SDH immunostaining can be helpful in the initial diagnosis of familial paragangliomas in subspecialty practice (Adv Anat Pathol 2015;22:283). 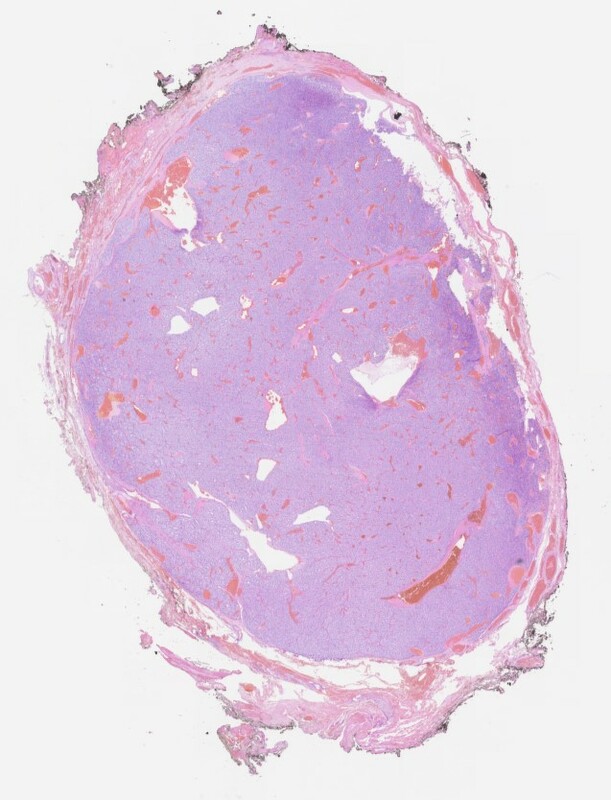 No particular histologic characteristics, immunohistochemistry or molecular testing can differentiate paragangliomas with aggressive behaviour from those which are benign, and distant metastasis are the only sure feature of malignancy (Mills, Sternberg's Diagnostic Surgical Pathology, 6th ed. (2015)). 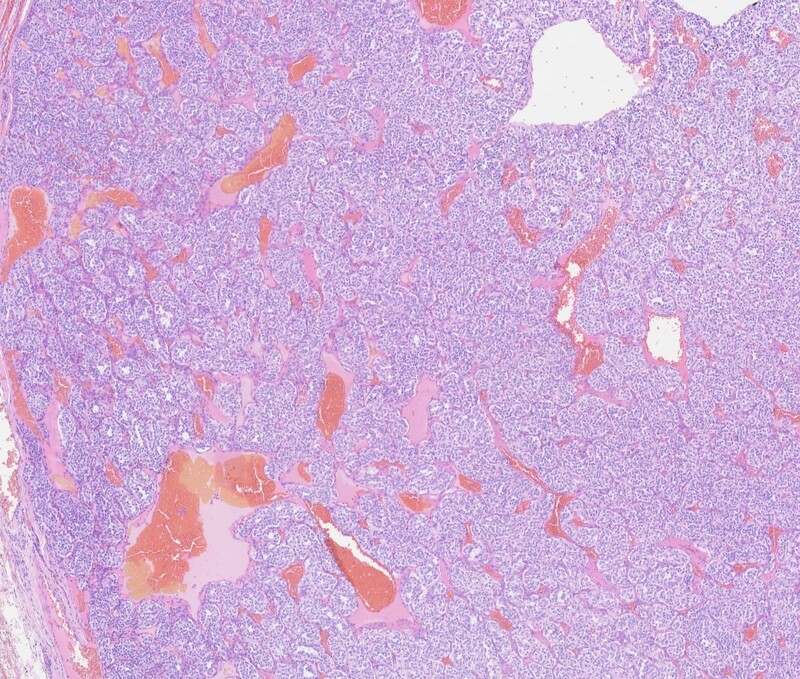 The term pheochromocytoma is reserved for paragangliomas of the adrenal medulla (Acta Neuropathol 2006;111:1 - WHO 2004), even though pheochromocytomas are morphologically indistinguishable from paragangliomas in other locations (Arch Pathol Lab Med 2008;132:1272).